If your Dad has a sweet tooth, you might want to check out these awesome deals over at Cheryl’s today! 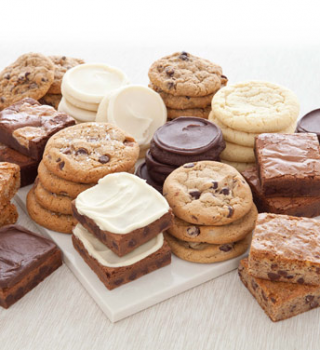 Today only, you can purchase these Father’s Day Cookies & Brownies for $24.99, which is a 50% savings. PLUS, you can save 25% off the Father’s Day Collection when you enter the code DADS25. They have some super fun gift baskets including one with a golf bag cooler! This offer is valid through midnight tonight, 6/11/2015.